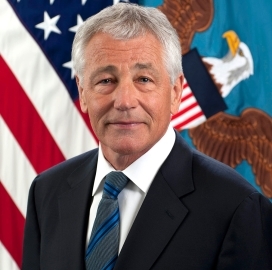 Defense Secretary Chuck Hagel has responded to calls from House lawmakers to implement civilian furloughs on a merit basis by saying consistency and fairness will be the measure for the unpaid leave, GovExec reports. Kedar Pavgi writes Hagel sent a letter to the lawmakers April 26 and said national security is the priority, while acknowledging their request to give the services flexibility in implementing the furloughs. The lawmakers claimed the furloughs punished agencies who reduced costs in previous years, Pavgi reports. J. David Cox Sr., national president of the American Federation of Government Employees, told GovExec components and agencies should not be required to furlough workers if they formed their own plans to offset sequestration cuts. When Congress made their across-the-board cut, DoD called it unsound, lacking strategy, and disruptive. Then they turn around and do the same thing! Sorry, but this policy is not only equally unsound it is hypocritical. I can understand a 535 member Congress being unable to make a more wise decision, but a military based in unity of command can and should do better than this.